The Planetary Health Alliance, along with the Harvard Center for Population and Development Studies, Harvard T.H. Chan School of Public Health, Harvard University Center for the Environment, and the Center for Climate, Health and the Global Environment (C-CHANGE) at the Harvard T.H. 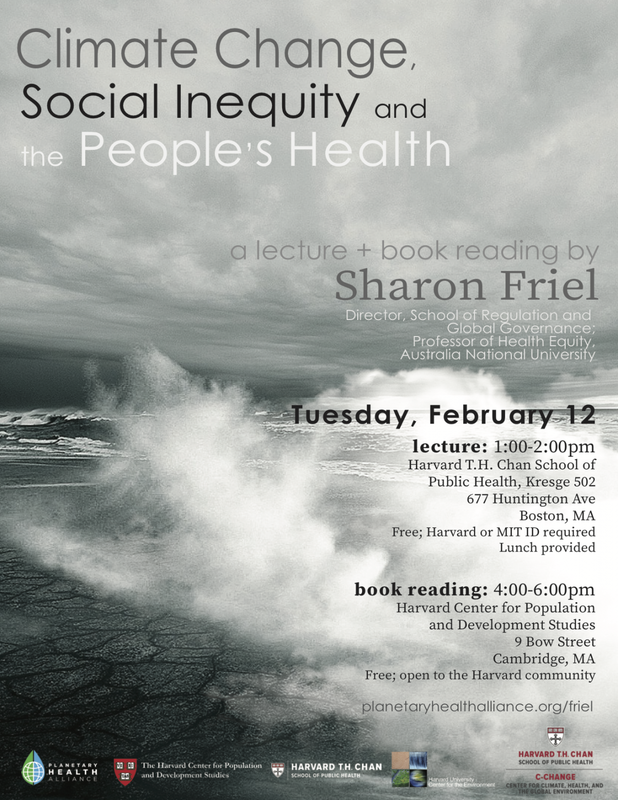 Chan School of Public Health, are sponsoring a lecture and book reading with Dr. Sharon Friel, author of the recent book, Climate Change and People's Health. Join us for this two part event tomorrow, February 12!